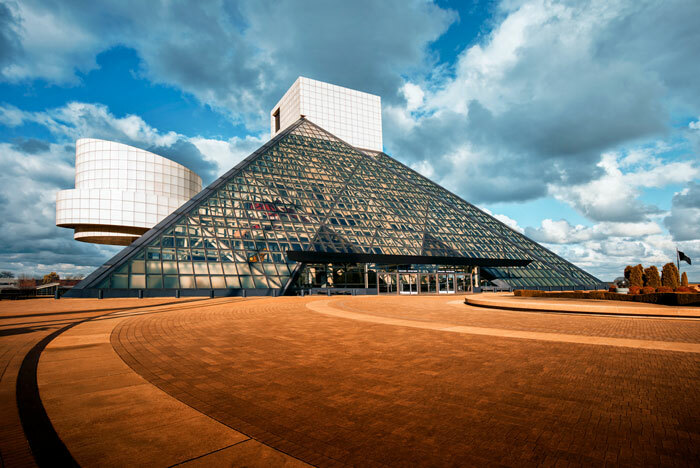 On my Epic Road Trip, I spent a day with my in-laws, visiting the Rock and Roll Hall of Fame in Cleveland, Ohio. I’ll be honest, I was kind of “meh” on the idea of stopping by, after all I’m not a huge fan of classic rock. But, I really enjoyed myself! I saw Michael Jackson’s rhinestone glove, the Supremes’ pink sequin-and-feather dresses, and the white guitar that Jimi Hendrix played at Woodstock. There was a fantastic exhibit about the history of rock (starting with blues and jazz through modern day) and a cool display talking about the intersection of politics and music. I’d definitely recommend stopping for a day (or at lest an afternoon), if you’re driving through Ohio. Well, reader. I’ll tell you. 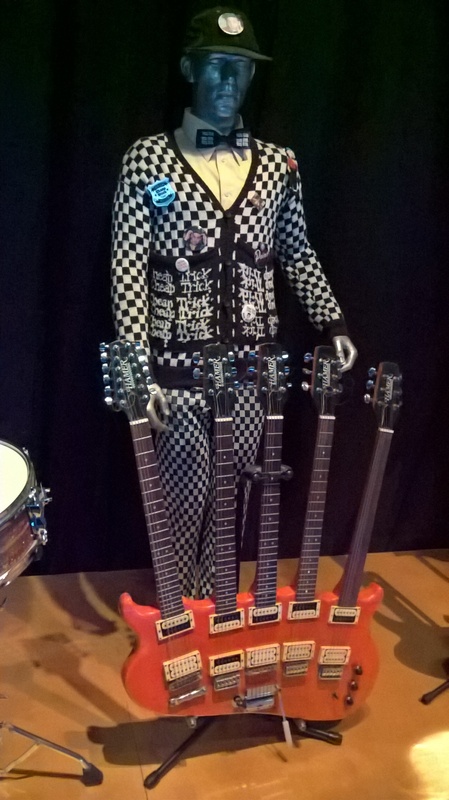 According to the plaque, Rick Nielsen designed the sweater and someone named Sally Walton knit it up. It might not be my style, but it’s a pretty impressive piece of knitting. Imagine one of your finished objects ending up in a museum! What’s the most surprising knitting you’ve come across? 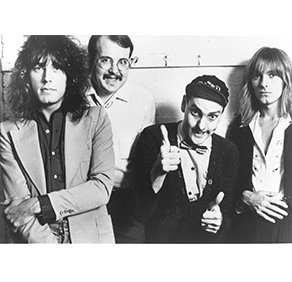 This entry was posted in FYI and tagged cardigan, cheap trick, knitting, museum, rock and roll hall of fame on June 15, 2016 by onemilljellybeans. Has anybody tried to find Sally Walton? Would be interesting to learn about her craft.